It was the connection that she began to feel, the mind-body experience, the humbleness and acceptance of the present moment that kept her coming back day after day. She has had the great fortune of being guided by beloved teachers, including James Marks, Roee Weiss, Rolf and Marci Naujokat, Balu Thevar, Gabriel Halpern, Alexia Bauer and Bridgett Piacenti. 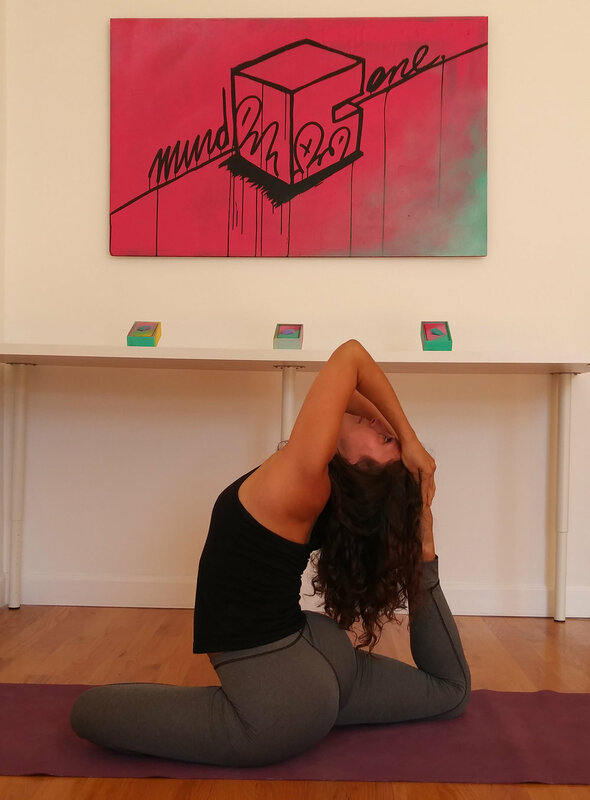 In 2014, she completed an Ashtanga Vinyasa and Yin/Restorative Teacher Training Course (RYT 200) at Brahmani Yoga in Goa, and has since taken multiple trainings that have focused on trauma-informed yoga, pre-natal yoga, yoga for the senior student as well as children's yoga in efforts to make yoga accessible for every and anyone who is interested in using yoga to explore their world within.